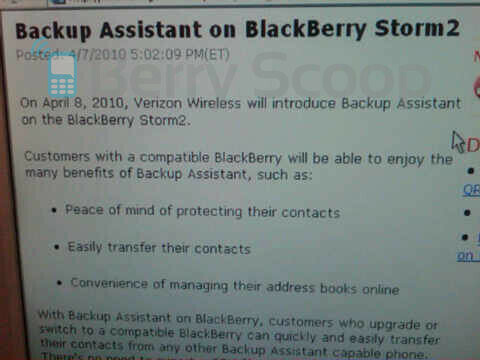 Verizon's BlackBerry Storm2 to get Backup Assistant today? ?? I've had this for my curve for months now. See ya BB!